Nashville food, cultural insights, history, & sightseeing all wrapped into one amazing private tour! You will be personally introduced to Music City by your friendly guide and give your taste buds for a ride along the way. Sample Nashville's favorite signature dishes and visit quaint, quirky Nashville neighborhoods as you travel in a comfortable luxury vehicle. Your tour includes enough samples of our favorite foods to make a meal together with your choice of a local beer tasting or cocktail. Maximum 3 travelers per booking. Enjoy this 3-hour tour and sample the best of Nashville's classic cuisine, landmarks, history, and neighborhoods with an experienced local guide all to yourself. It'll include southern specialties like slow-roasted barbecue, authentic hot chicken, and Nashville's own frosty cocktail, the Bushwhacker plus a few additional treats, and you'll pass the Capitol, Bicentennial Mall, Sounds Stadium, Germantown, the Cumberland River, East Nashville's Five Points, Nissan Stadium, and more! 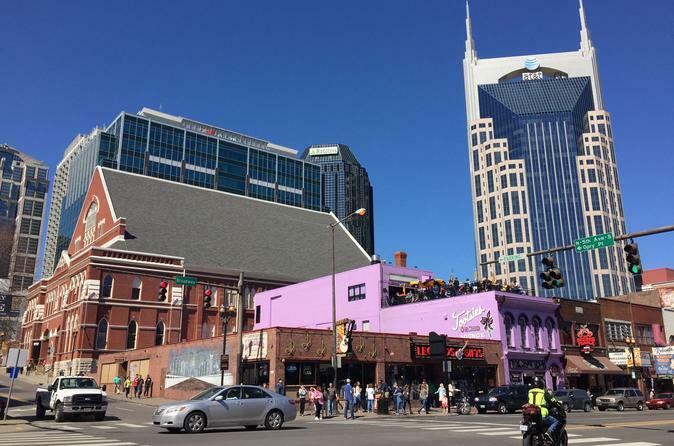 Your local guide will be more than happy to share insights and tips to help you discover the more of Nashville when on your own after the tour. You'll travel in a new luxury vehicle, piloted by your local guide, who'll provide you with all the tips and insights to make your trip a success. Discover new foods, learn some fun facts, and travel with a guide who'll treat you like an old friend!